The 2019 Cheltenham festival is upon us! The biggest event in the horse racing calendar, consisting of four action packed days of jumps racing. From the first light of the opening chase to the concluding roar of the Gold Cup; Betfred is at the heart of it all. 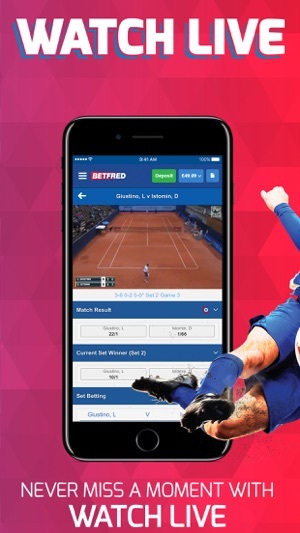 Enjoy all the excitement of in play and pre-event betting here in our very own sports app; featuring one of the best sporting markets around. 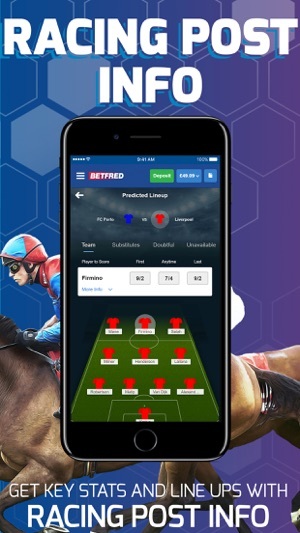 There’s no better place to spend this season than with Betfred – boasting the classic features (including; Goals Galore, Double Delight & Hat-Trick Heaven, Acca Insurance etc) as well as recent additions and improvements (such as PickYourPunt Builder and Racing Post data). You’re in control with PickYourPunt builder, where you decide the markets! The new PickYourPunt builder allows you to build your own bet without the need to request anything from anyone. 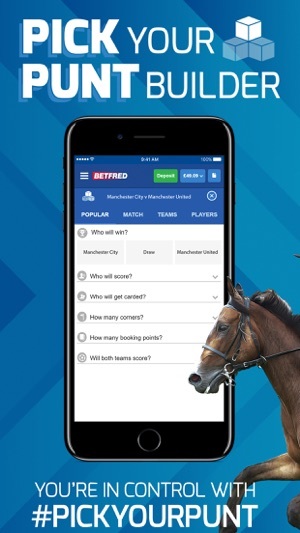 You will get your price instantly so if you fancy your team to win, with 10 or more corners and the big man upfront to score a header then PickYourPunt with Betfred. Check out the all new Racing Post feature with content supplied on all the key football matches, including key stats and predicted lineups. A number of display and navigational improvements have also been included to improve your experience! 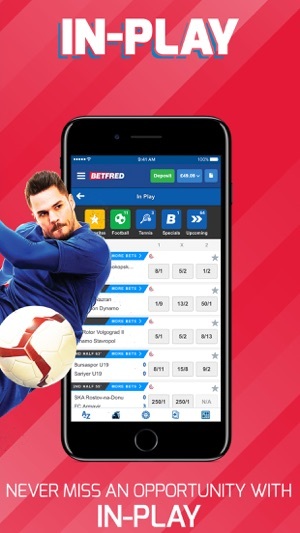 Get enhanced odds on your first goal scorer bets on the Betfred app with our world famous Double Delight & Hat-Trick Heaven promotion! If your chosen goal scorer scores first and then nets another, we will double your odds – and treble them if he gets a hat-trick. We paid out millions on this promotion in the 2017/18 football season. Will you join the long list of winners? When both teams score, it’s Goals Galore! Pick from our range of coupons including the Bonus List, 1st Half, 2nd Half and No Draw, on the bet that gets exciting when both sides hit the back of the net. Never miss a second with our fantastic Watch Live feature. We stream all UK and Irish horse racing, basketball, tennis, greyhounds and many more events, every single day. New UK & NI customers only. 18+. Deposit & place first sports bet at a minimum of £10 in one bet transaction at evens (2.0) +. 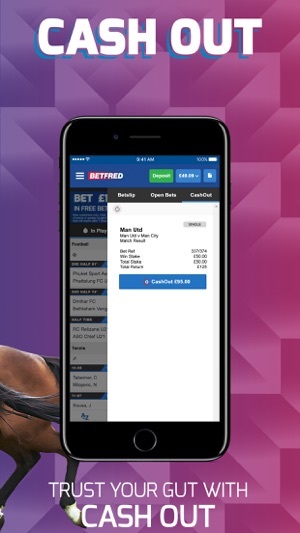 £30 paid in free bets within 10 hours of bet settlement, expires 7-days after issue. E-Wallet & Prepaid Card restrictions apply. Your first bet must be settled within 60 days of bet placement. SMS validation may be required. Full T&C's apply. Visit Betfred.com for full terms. This update consists of some minor technical changes to help improve your overall betting experience. As well as the release of some additional new customer offers for upcoming events. Betfred, at the heart of Cheltenham and the home of PickYourPunt Builder. Had a good week took quiet a bit of money, and I wanted to put £50 on ronaldo to score a hatrick but it limited me to £6, I complained on live chat and they said it was a ‘marketing decision’ to put a limit on my stakes. I won £54 from a bet that I would have won £450 if they let me do the stake I wanted. I’ve been with them for about 6 months taking barely anything out and losing a lot more than I won. They didn’t do this ‘’marketing decision’ at any point when I was losing and only when I had a really good week. I’ve had restrictions on other bookies before but never less than £35 this went from any stake I want to £6. Absolute shambles and I was told on live chat to get my limit up I must lose some bets as winning would make it continue to tumble. Terrible bookie and it’s proven there can only be one winner. The app is ok, you receive your money very quickly when you have withdrew it which is always good. It seems to crash a lot on balance though which is very annoying and nobody seems to be able to resolve it. Also when your doing the big Fred’s bets it would be nice to know how much you are actually receiving. Also not being able to withdraw a deposit is also a very good positive! I play a lot of virtual and that could improve massively, it’s very predictable all the time so maybe it could do with a bit of a mix up and you wouldn’t know if you had won or lost straight away. I bet with many bookmaking sites on line and I must admit even though I think old Fred has some of the best prices around his App is poor. It’s hard to find specials and takes a bit long to navigate through the other sections to find what you want. Also it need more specials and bonuses like a lot of other sites which I wont mention! 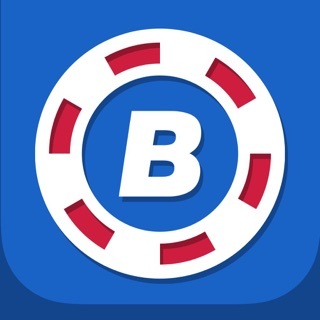 But it’s still a lot better than some of the other betting apps out there. So go Fred give us some better specials and bonuses and just put that little more effort and detail to make your site the best and not just average.